3.2m Ripple Tender project underway in Victoria. 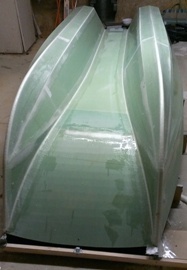 The photos below show the Duflex Airex Foam kit recently assembled. Brian and Denise Jones are doing a very neat job, well done! They are extremely impressed with their kit and wrote a few words on their work experience todate, please click here to read further.